As partner of TOP INTERNATIONAL Hotels Avis offers you worldwide mobilty, when and wherever you should need it. With 5,100 stations in 170 countries, Avis is one of the leading global car rental companies, offering unlimited mobility. With the claim, "We try harder", Avis attaches the highest importance to excellent service. Having won many awards, Avis offers you outstanding support around the globe. On top of this, Avis is the exclusive car rental partner of Porsche offering you the entire model range of this classic dream car: from the Porsche 911 and the new Panamera to the Cayenne all-rounder. Just book your rental car HERE and enjoy the competitive Avis rates worldwide. ConCardis GmbH of Frankfurt/Main is one of the leading service providers in cashless payment transactions. As a joint venture of the German credit industry, ConCardis provides a comprehensive range of services for card-based payments. The customer base of ConCardis includes some 400,000 retail and service companies, which accept cashless payments in their business locations or provide services in exchange for cashless payments. Since 2015 TOP INTERNATIONAL maintains a close partnership with the Channel Manager Hotel-Spider. The Hotel-Spider is the solution for every hotel! The hotel is - like a spider in the center of its net - in the center of the online distribution network. Instead of wasting valuable time for updating prices and availability on online booking portals, every hotel should opt for the Hotel-Spider solution. Thanks to the powerful functionality of the Hotel-Spider the system does transfer the room rates and availability on any booking portals of your choice. The interface to TOP´s own reservation system TOPREZ.net is certified and successfully implemented. The control of the TOP Wellness portal, the wellnessfinder.com and the online booking system WellnessREZ.net is also possible. The Hotel-Spider uses only certified bidirectional XML interfaces and can ensure a fast and accurate transmission of sensitive data. 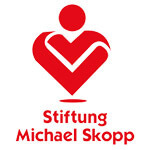 The Michael Skopp Foundation was established by Rosemarie Skopp on July 11, 2006 under the auspices of the Bielefelder Bürgerstiftung (Bielefeld Citizen Foundation) and following the long-standing commitment of pharmacist couple Skopp to their „Treffpunkt Gesundheit" (Rendezvous Health). All income resulting from these activities is donated in full to the Foundation. In addition we support projects, local clubs, schools and organisations promoting children. As a member of your ADAC-Club you have the benefit to book your hotel room with a discount up to 30%. Make sure you have your membership card ready to book direct. Please fill out your membership number to login. If only a standard rate appears at the hotel, the special ADAC rate is not available for that date. AAA and CAA members can also book these special rates in the near future.